Barcelona ended up being our relaxation city for this trip. On our first trip together, Cinque Terre and Nice were the (relatively) relaxing stops, and on our honeymoon, Mykonos and Santorini allowed us to wind down and reflect after the wedding. 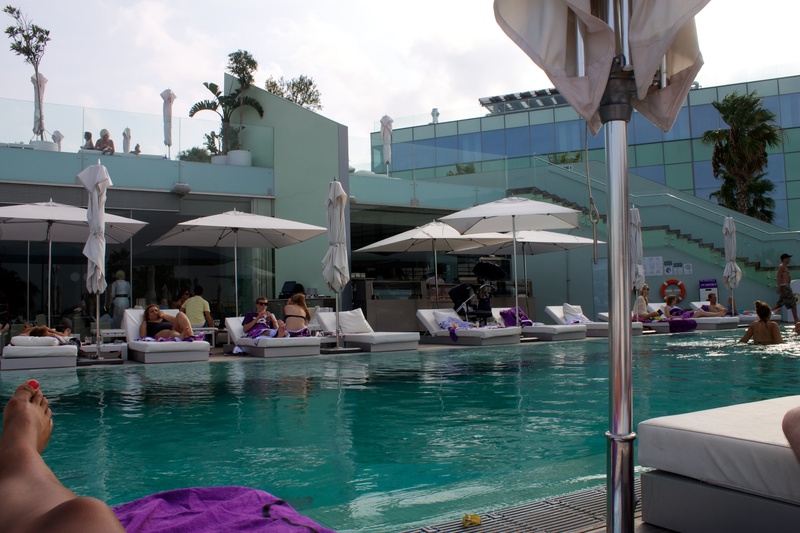 We planned to be go-go-go this trip, but for several reasons, Barcelona was the perfect place for a little break. Our hotel. It was located far away from the points of interest (listed out by us prior to our trip). To give an idea, it took us about 20-25 minutes to get to the closest metro stop and about 40-45 minutes to get to the start of La Rambla and the Gothic neighborhood. 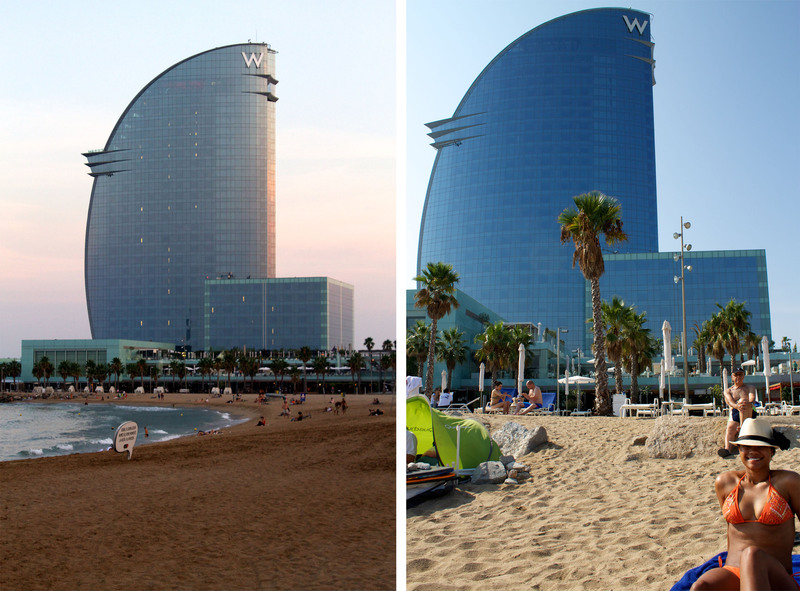 While it was far from that part of town, the W Barcelona is located right on the beach and it has a pool. We made a conscious decision to stay here so that we would be close to the beach and have access to a pool. It was hot! This made the reasons listed above even more of an issue/temptation. We were expecting high 70s, but it was more like high 80s/low 90s and extremely humid our last day there. Bring on the beach! Our Lisbon itinerary was packed. We never had a chance to take a break in Lisbon. By the time we arrived in Barcelona, we were sleep-deprived and wanting a break! 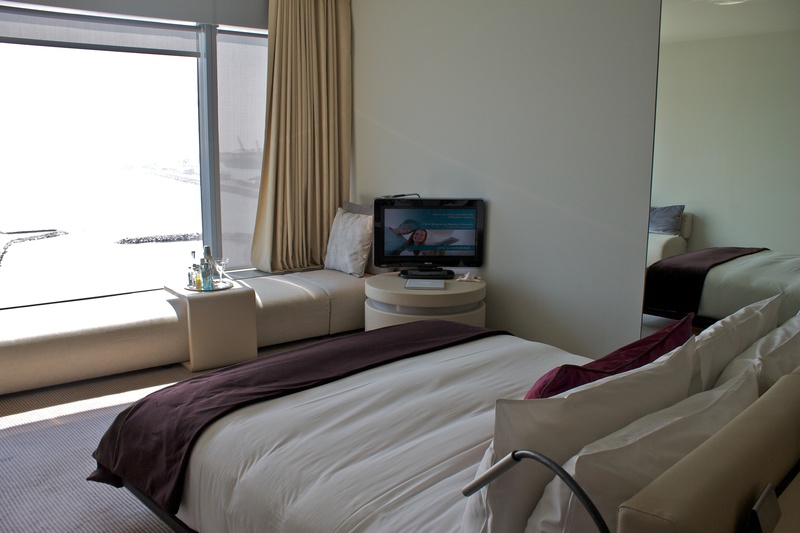 And since our hotel in Barcelona was super nice, we had a comfortable and luxurious place to rest. So what does this mean? Well, we didn’t see or do everything we would have liked to (although this always seems to be the case). We prioritized and made sure we made it to Sagrada Familia, the City History Museum, and the Picasso Museum, while leaving some time for exploring. But, we didn’t go inside the cathedral, we didn’t have a chance to see some of Gaudi’s other sites (Casa Mila, Parc Guell, Casa Batllo), and, in general, just didn’t see much of the city. In short, we will definitely be back to Barcelona! We embraced our decision to relax a bit and definitely do not regret it. Part of enjoying a travel experience is living in the moment and making decisions on what to do or not to do while you are there. Pre-planning can be great (and helpful), but sometimes a different path makes for a more enjoyable trip. We can’t wait for a return visit to Spain (which will have to include Barcelona!). This entry was posted in Travel and tagged Barcelona, Portugal/Spain 2012 Trip, Spain by Kristin. Bookmark the permalink.